The new convention centre in Rome's EUR business district was unveiled to the press on 19 July. Designed by Italian architect Massimiliano Fuksas and built by construction company Condotte Spa, the centre will be officially inaugurated on 29 October 2016. The construction was completed this June after eight years. The complex is generally referred to as the "Cloud", but a contest to name the convention centre is underway. The chosen name will be announced on live television at the inauguration ceremony. The structure is made of 20,000 tonnes of steel - almost three times more than the iron used for the Eiffel Tower - and cost about 300 million euros to build. The convention centre, including the plenary room and the auditorium, can host up to 8,000 people overall. 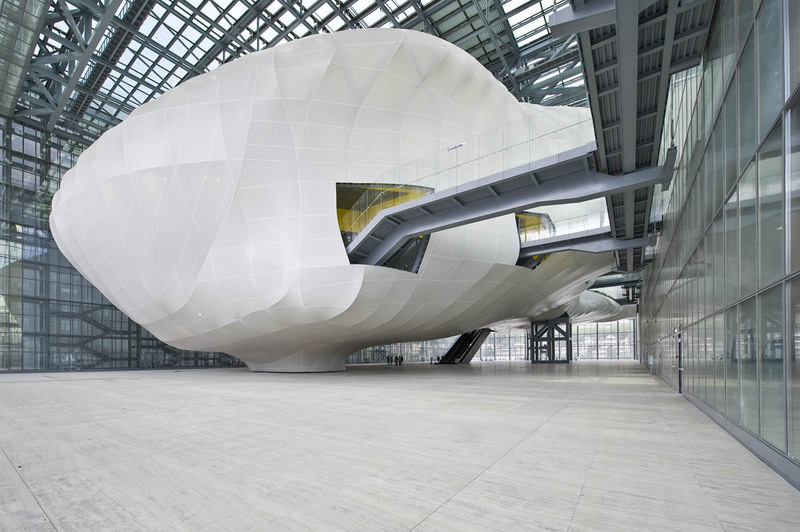 The forum level houses a 6,000-square-metre multipurpose space under the auditorium, held up by 14,000 square metres of fibreglass - the "cloud" itself. The architect finds the "Cloud" slightly restrictive as a name, particularly as it undermines the other areas of the building as well as the beautiful lighting scheme that brings the space to life during the night. After having worked with Massimiliano Fuksas on previous projects such as the Rho Fiera in Milan, the complex of San Paolo in Foligno and the Tbilisi Public Service Hall in Georgia, this demanding project in Rome has seen iGuzzini involved in both the provision of standard equipment, and the development of custom light fittings which illuminate the high-capacity auditorium. 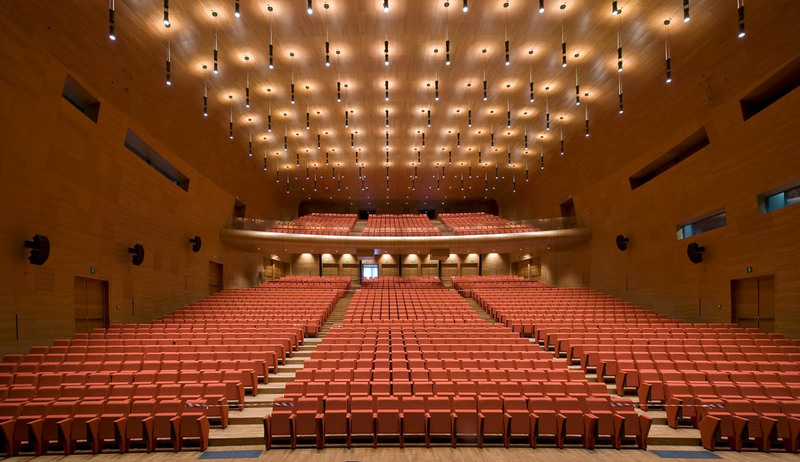 The lighting provides a nice finish to both the interior and the exterior of the complex which continues the contemporary architecture trend started in the Eternal City by Renzo Piano's Parco della Musica Auditorium, also illuminated by iGuzzini.